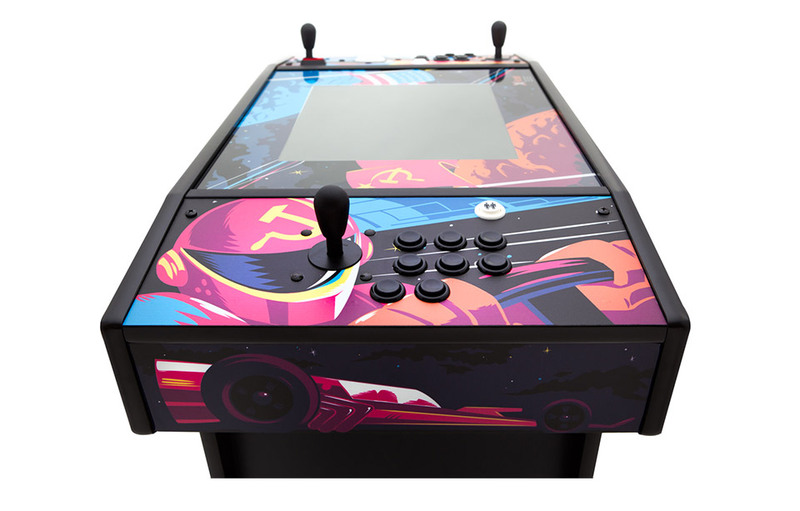 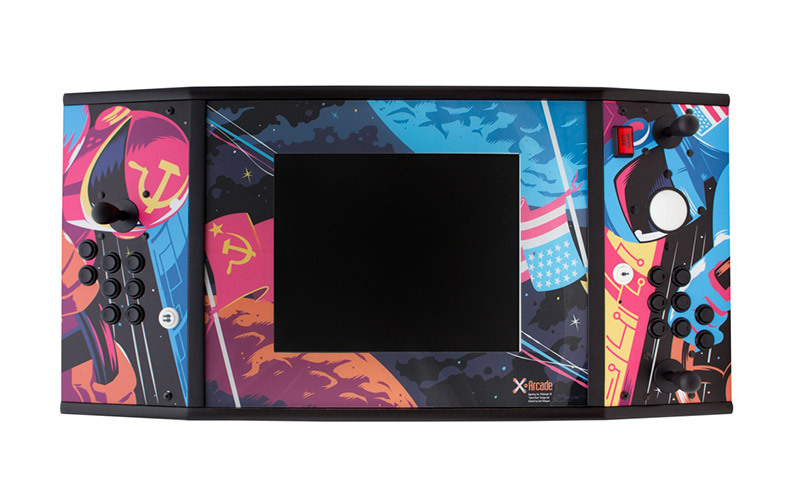 X-Arcade’s sit-down console offers head-to-head gameplay (for games that support cocktail mode), and has a 19″ LCD screen, surround sound, and arcade quality controls. 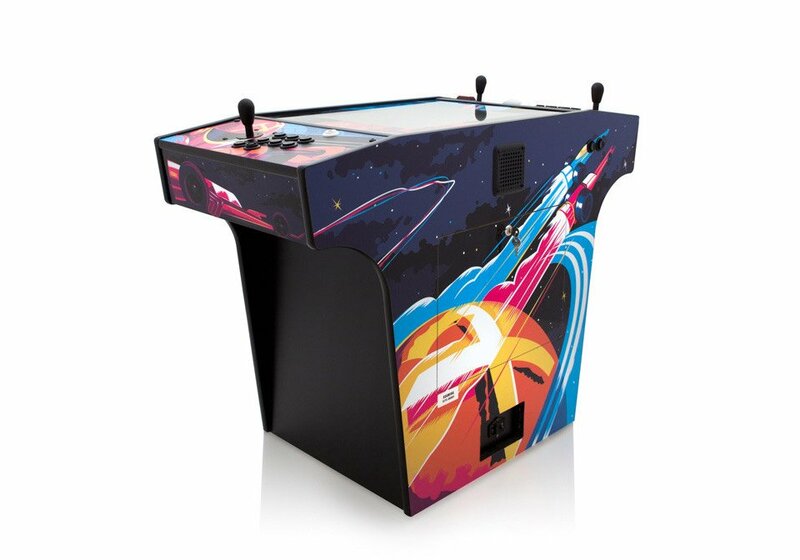 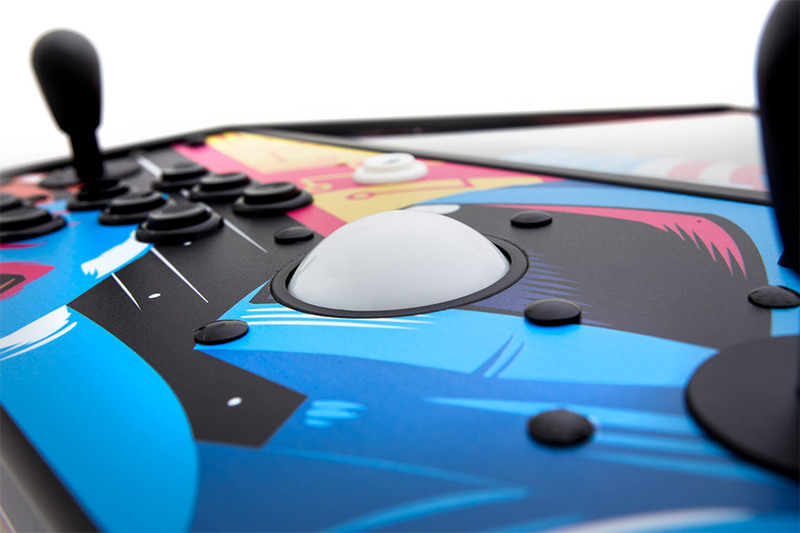 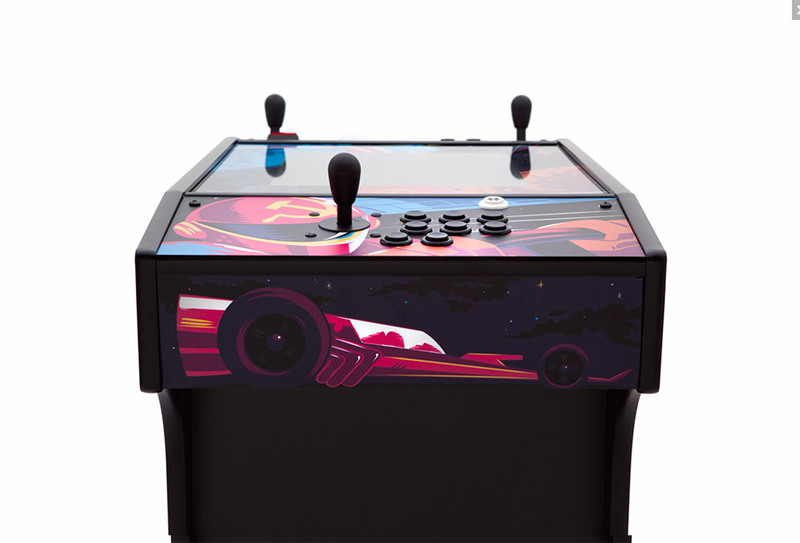 Comes with 250+ classic arcade games pre-loaded. 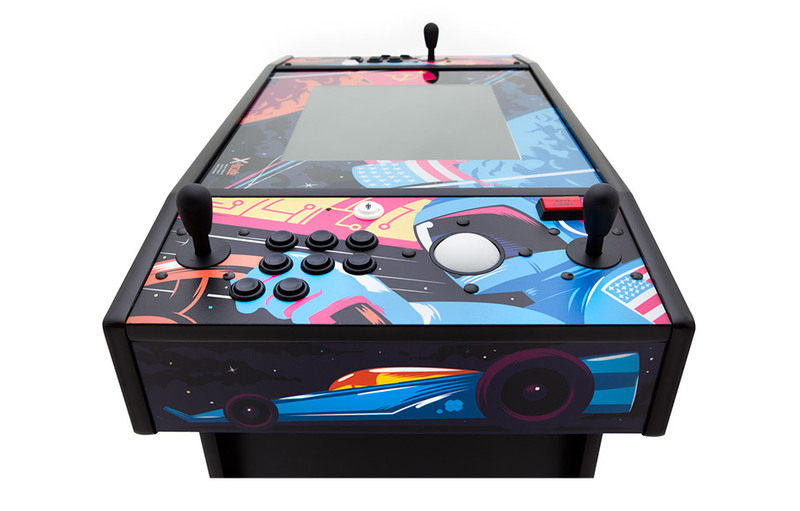 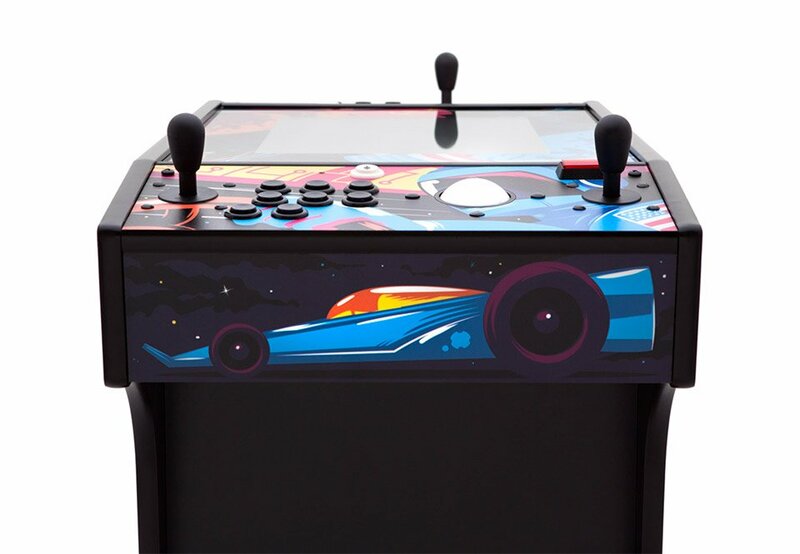 We love Josh Ellington’s Space Race cabinet art too.